"Our goal is to provide quality services, at the best-rates, every time you do business with us”. Vancouver Island is considered a temperate rain-forest where over 20 native species of trees flourish! Commercial tree-harvesting aside, there are occasions when there is a requirement to reduce tree cover, or remove trees, due in most cases to commercial and residential growth, disease, or damage caused by extreme weather conditions. The professionals at Adams Tree Service are experts in assessing and determining your requirements and will provide a Free on-site visit to assess your specific tree reduction or removal requirements. 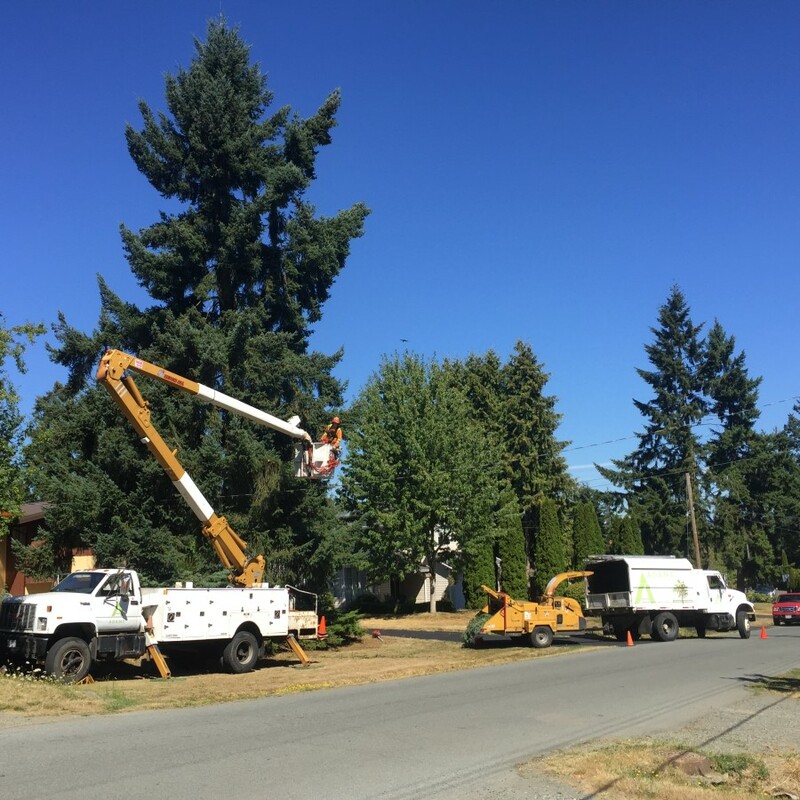 As well, for customers located in urban areas, our experts will even help you determine which permits or other documentation may be required by municipalities and other government organizations, prior to commencing your tree reduction or removal work. Call the Adams Tree Service location closest to you for a Free estimate of the cost to remove a damaged or diseased tree, and keep in mind we provide ‘around-the-clock’ 24/7 Emergency Services for dangerous tree removal. "Whether you’re a first-time or repeat customer we want you to feel that you can count on us every time we provide a service, no exceptions!" Adams Tree Service has an immediate job opening for a Certified Utility Arborist at our Victoria location.